Still feel you have football left in you but would like to play in a manner and spirit that more reflects your mature status? Then maybe one of our projects at Taunton Vale Sports Club is for you. Clearly Seniors ( 60ish+) every Monday except Bank Holidays at 2.30pm (please note, this is not walking football!) 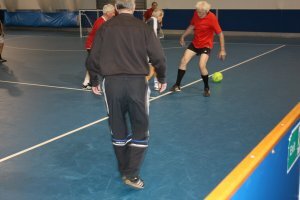 Check the "Daytime Social Activities" page for Walking Football opportunities.